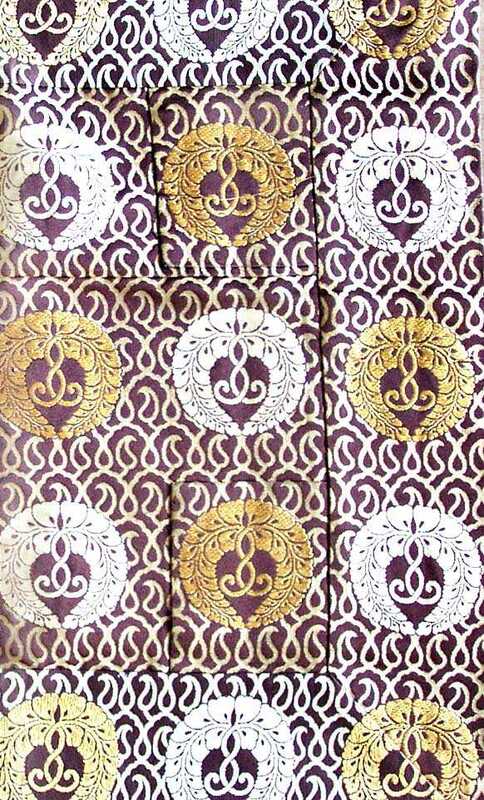 The Gesa (kesa) vestment deliberately employs a patchwork style. 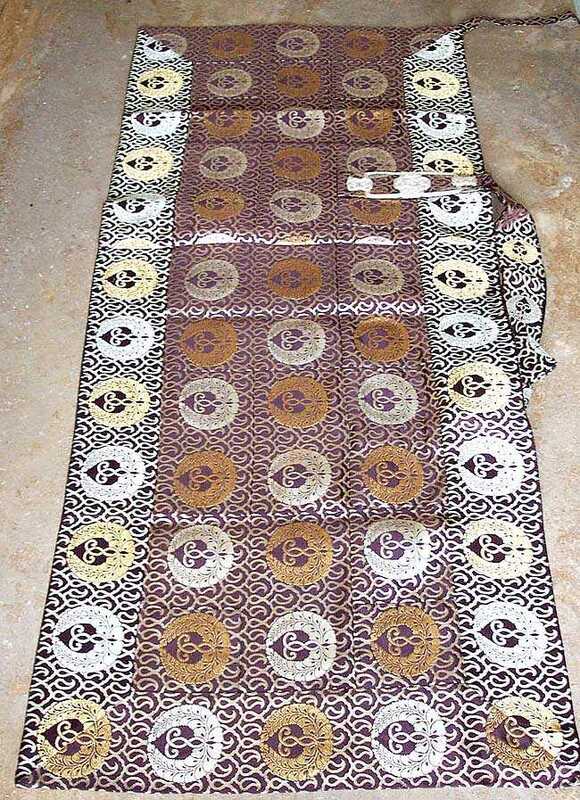 It is said that the original gesa were made form discarded rags. 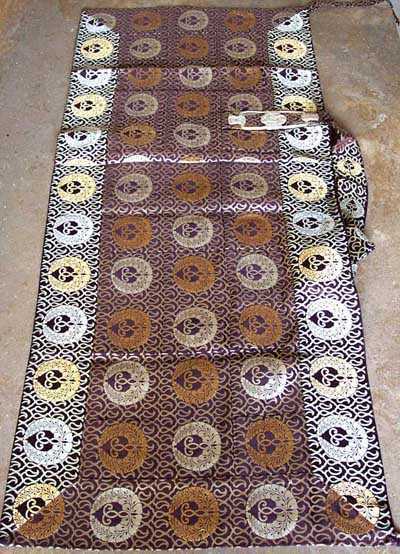 The patchwork style symbolizes the virtue of poverty and freedom from desire that a Buddhist monk strives to realize in his life. 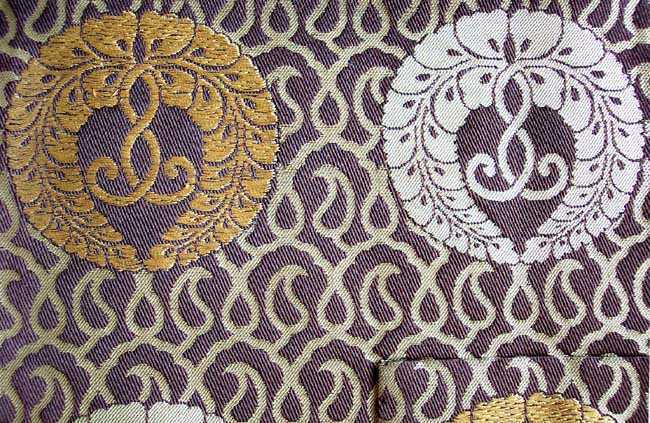 The large flat rectangle is woven in metallic gold thread to complete the wisteria mon. 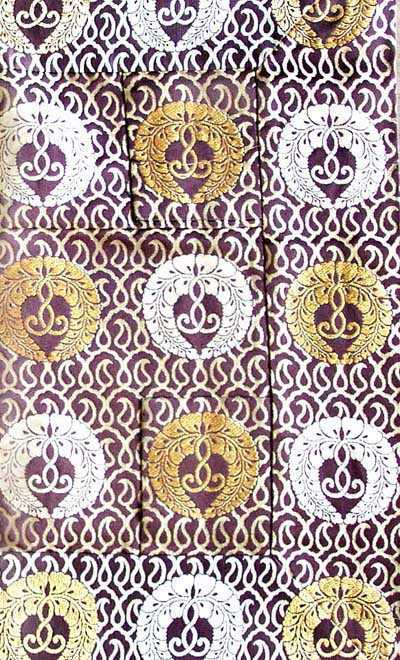 The trailing racemes of wisteria are among the most popular motif for family crests and textile designs. The are associated with the folk tale Fuji Musume, the Wisteria Maiden. Wisteria bloom-viewing festivals were common during the Nara period. 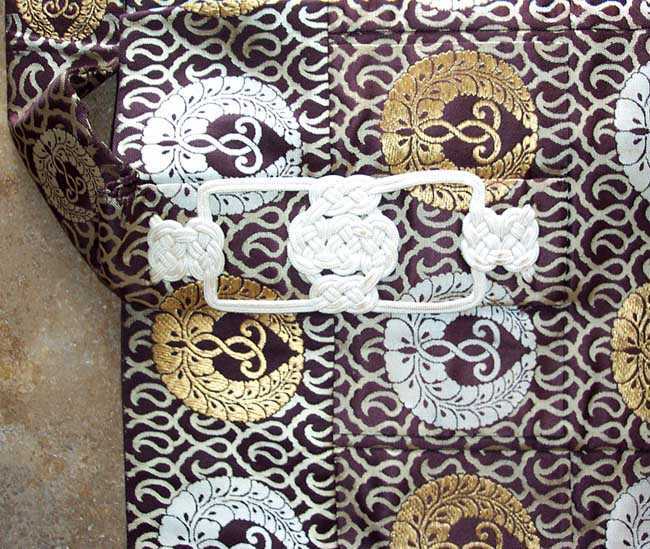 The stole is accented with fasteners of the same cloth and reinforced with ornate white knots. 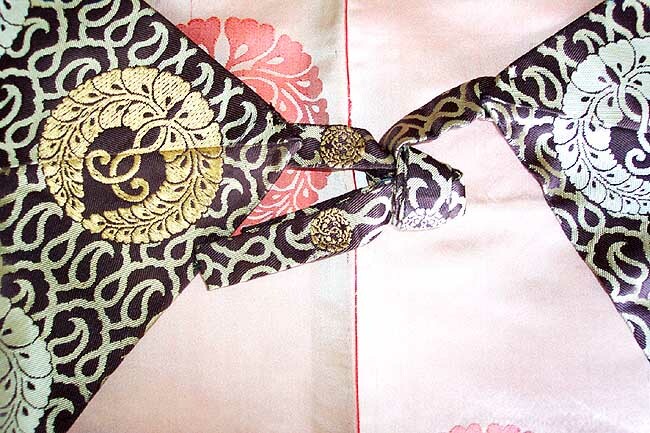 The lining is a pale pink silk damask. 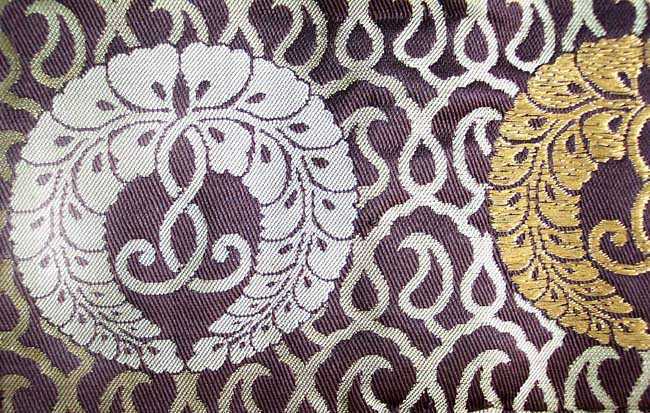 The lining has some color variations and some of the lining is worn through due to its age. Kesa Dimensions: 22” Wide X 58”Long.